Can an aspiring model find happiness on a billboard?! 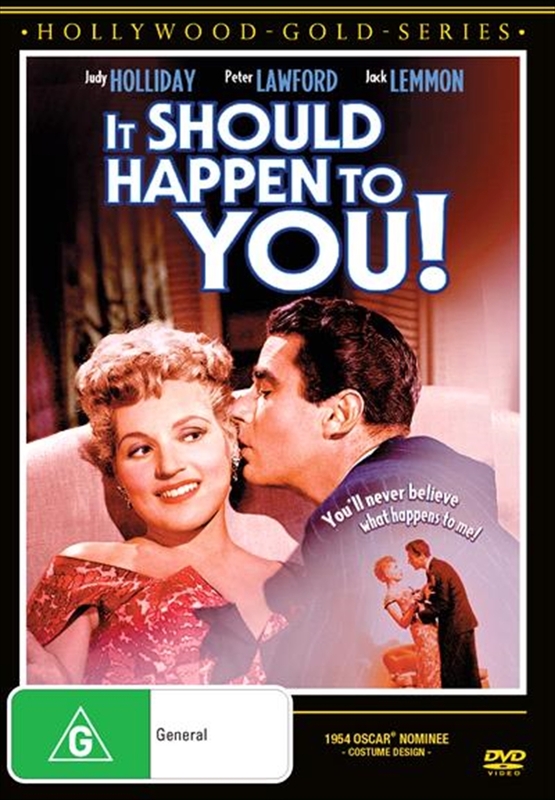 That's what Gladys Glover (Judy Holiday) finds out in this delightful romantic comedy. Unable to find steady work as a model, Gladys devises aningenious gimmick: she uses all of her savings to rent a large billboard overlooking New York City's Columbus Circle featuring her picture and name. As it turns out, that billboard is in high demand- Evan Adams III's (Peter Lawford) company wants it for himself. With interest in more than just her career, Adams strikes a deal with Gladys whereby she acquires additional billboard locations. Under the guidance of a slick promoter (Michael O'Shea), Gladys becomes a national celebrity. Then she realizes she must decide between her boyfriend (Jack Lemmon) and this exciting new life.